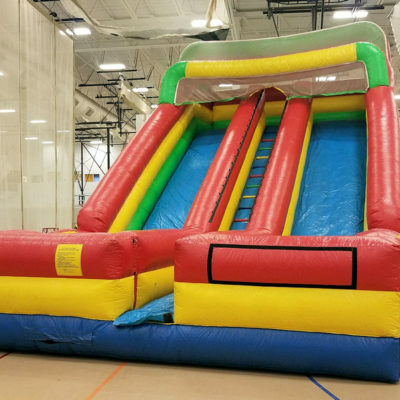 Beat the summer heat with the largest selection of water slides and inflatable slide rentals in the Chicago area. 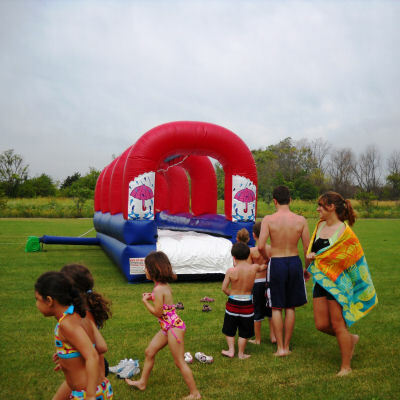 If you are looking to have a party at a waterpark, now you can have a waterpark in your own backyard! 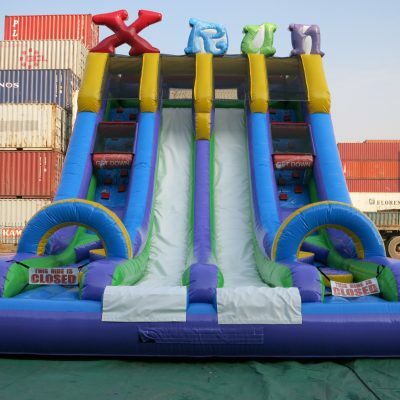 Our water slides will have adrenaline pumping and kids screaming as they go down. 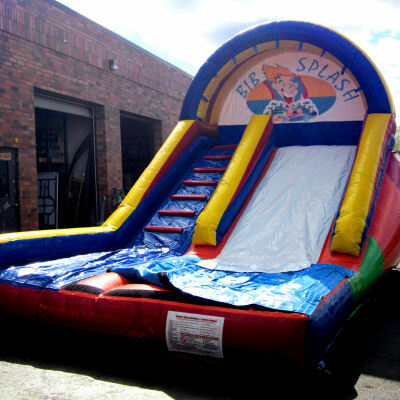 Not looking to make a splash? 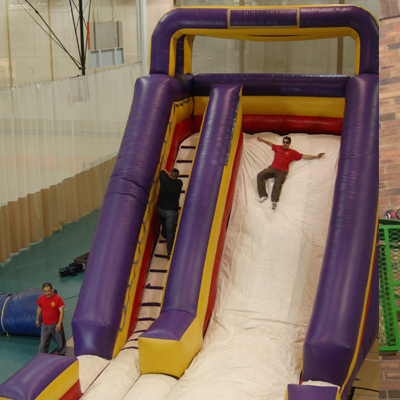 Our regular slides are just as much fun without the water! 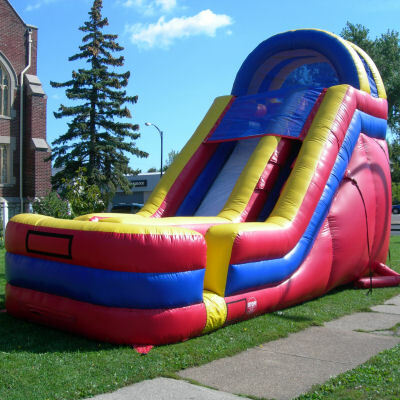 The best thing about having a slide in your backyard is there are no lines to wait in. 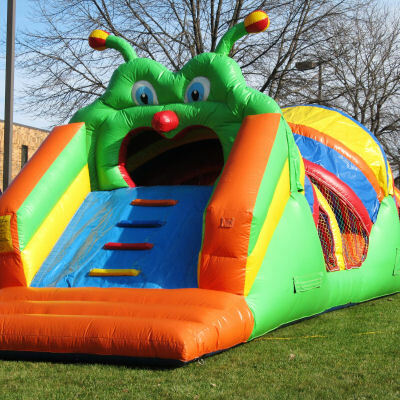 The kids will exhaust themselves climbing to the top and sliding to the bottom nonstop all day. 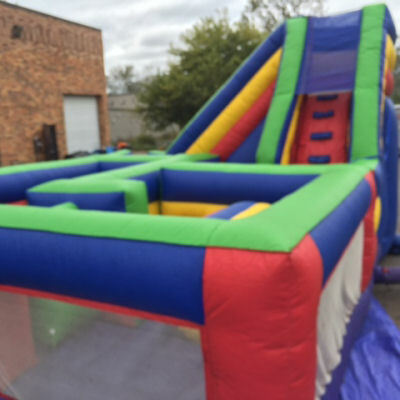 Look for some other fun water activities in our Dunk Tank Section!